Nationalization of a Dutch bank Friday provided a stark reminder that Europe is still struggling to shake off the legacy of the financial crisis and find a way to let banks fail without loading up governments with debt. The Dutch government was forced to rescue SNS REALL to protect savers' deposits after the banking and insurance group racked up huge losses on real estate lending. Attempts to find a private buyer or investor failed. "I therefore had to use the instrument of last resort, which is nationalization," said Finance Minister Jeroen Dijsselbloem, in a statement. "Nationalization would safeguard financial stability and prevent serious damage to the economy." The government's intervention comes a day after two of Europe's biggest banks -- Santander and Deutsche Bank -- announced huge writedowns in a bid to reduce their exposure to the region's economic woes and move on from past mistakes. More banks cleaned house Friday. Spain's second biggest lender BBVA reported a 44% drop in earnings in 2012 due to hefty real estate provisions and rival CaixaBank's earnings fell 78%. France's Credit Agricole announced a €2.7 billion impairment charge, including €852 million related to retail banking in Italy. While the investments of shareholders and subordinated creditors at SNS REALL will be wiped out, the rescue will still cost the Dutch state about €3.7 billion in capital injections and writedowns, pushing its budget deficit further above EU targets. 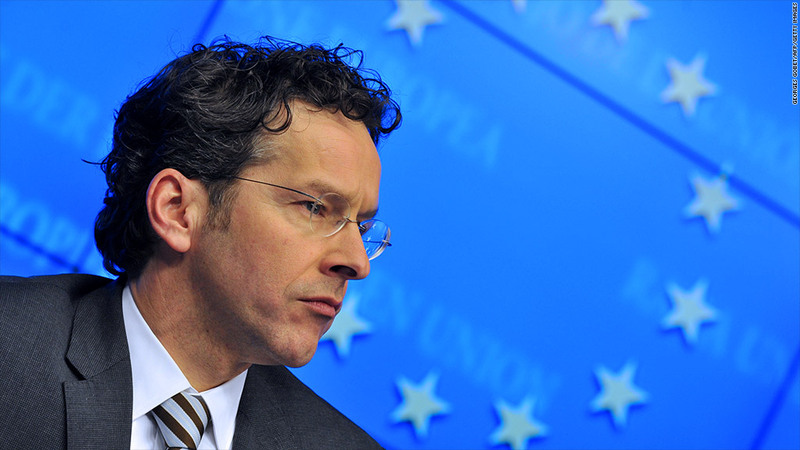 That will embarrass Dijsselbloem as he takes over as chairman of the group of finance ministers charged with policing fiscal policy among the 17 eurozone nations, and anger taxpayers who paid for a €40-billion bailout of the Dutch financial sector in 2008. "I can well understand the aversion many people will feel because once again, a large sum of taxpayers' money is required," Dijsselbloem said. "This is why I want the private sector to contribute as much as possible." A one-time levy of €1 billion will be imposed on Dutch banks in 2014 to help pay for the rescue. Dijsselbloem said the EU needed to legislate to ensure that banks could be broken up more easily and that the cost of future rescues be borne largely by the private sector. A working group led by European Central Bank governing council member Erkki Liikanen last October recommended separating investment and retail banking activities to protect taxpayers and savers. But France has since countered with its own proposal that would stop short of forcing legal separation. So far, the EU has made only small steps toward a banking union -- agreement on a eurozone mechanism for winding up failing banks and protecting depositors is probably years away. The EU, U.S. and U.K. are all discussing different ways to regulate banks to avoid costly bailouts in the future, leading some industry figures to warn that policymakers are creating unnecessary complexity, and potentially risk, with a confused approach. UBS Chairman Axel Weber said last week the industry needed a global standard on the issue of separating customer deposits from trading activities.